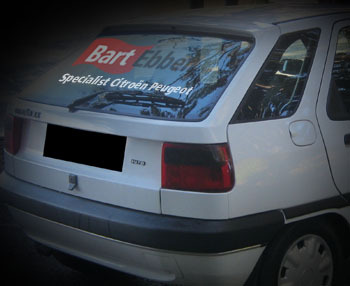 Bart Ebben supplies used car parts Citroën ZX worldwide. We stock second hand car parts for modern models but for youngtimers like the Citroen ZX as well. The BartEbben.com website is fitted with an online used car part warehouse featuring an online ordering option. As mentioned above we stock all common Citroën ZX used car parts. As a professional cardismantler specialised in Citroen and Peugeot our actual stock is shown online, you can find lots more than just Citroen ZX engines and gearboxes. Search for all possible Citroën ZX used car parts easily in our online catalogue (E.g. ECU engine control units, airbags, a steering rack, a side panel, door, bonnet, steering pump, etc.). We try hard to make ordering the spare parts as convenient as possible. Our salesmen are ready to help you out, whether you send in a part request or order by phone. We will supply you with all relevant information by email quickly. We can take care of worldwide shipping of Citroen ZX used car parts. Packaging is taken very seriously and we only ship our parts with selected and highly experienced, automotive shipping companies.